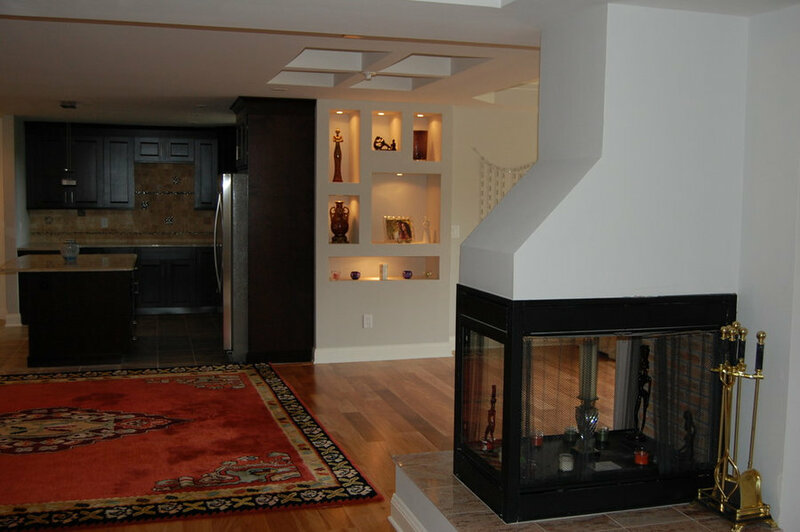 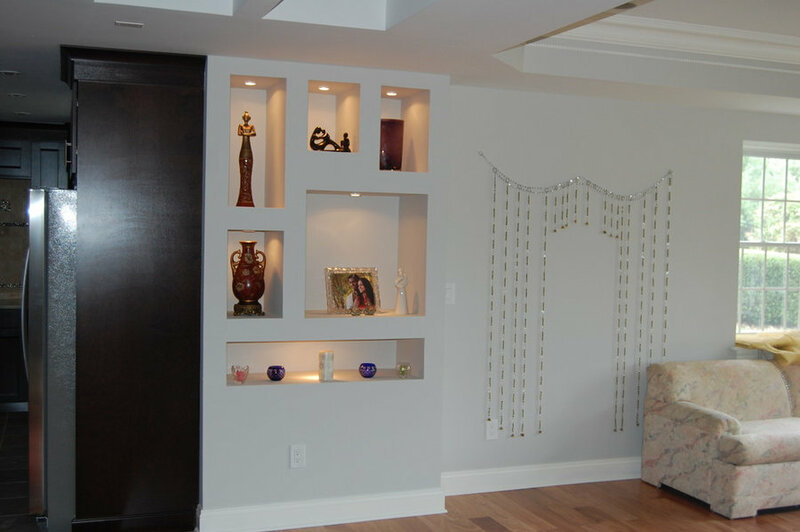 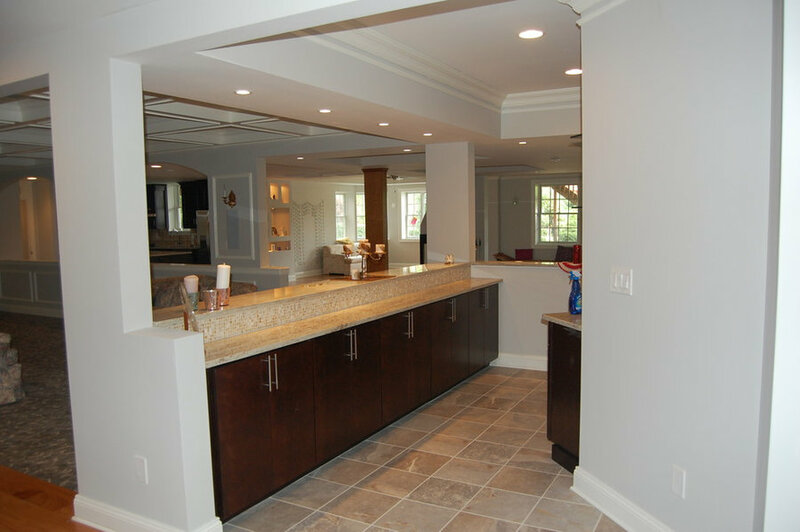 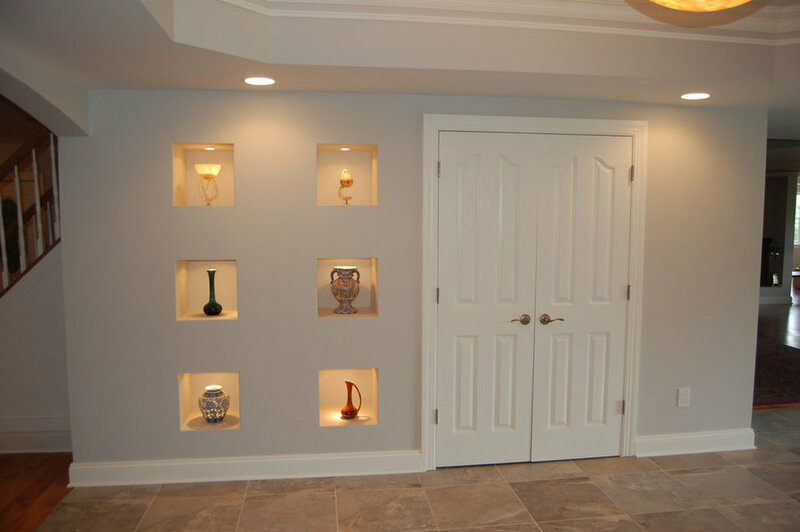 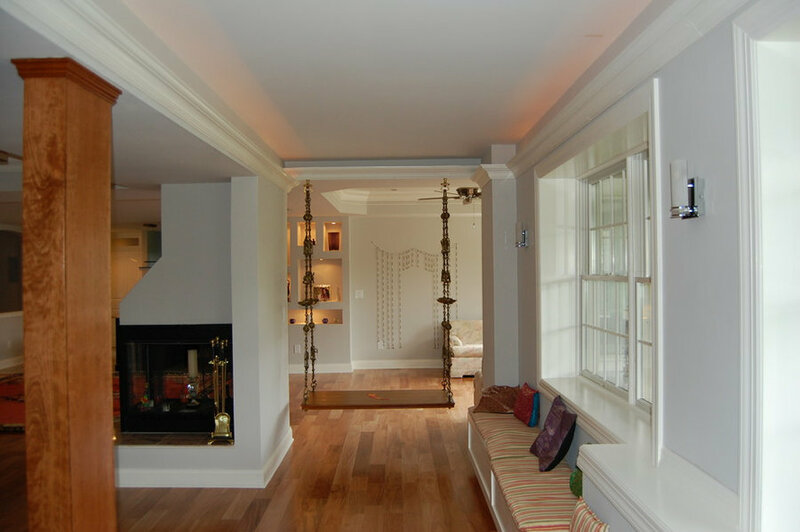 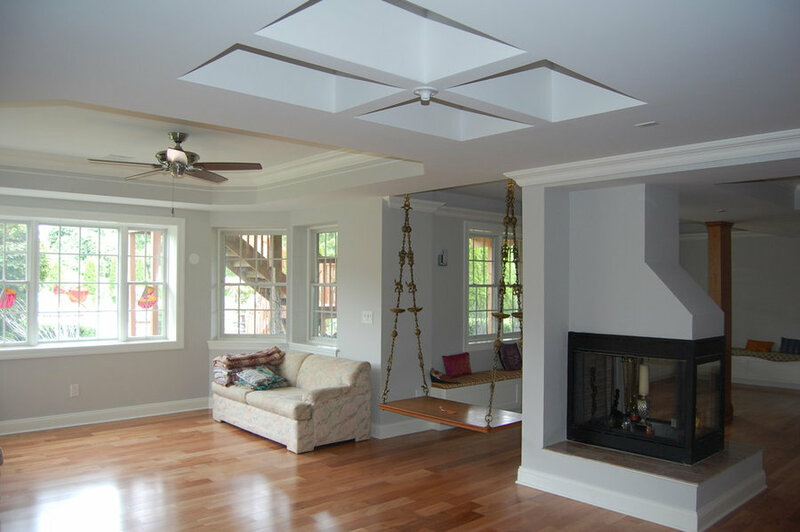 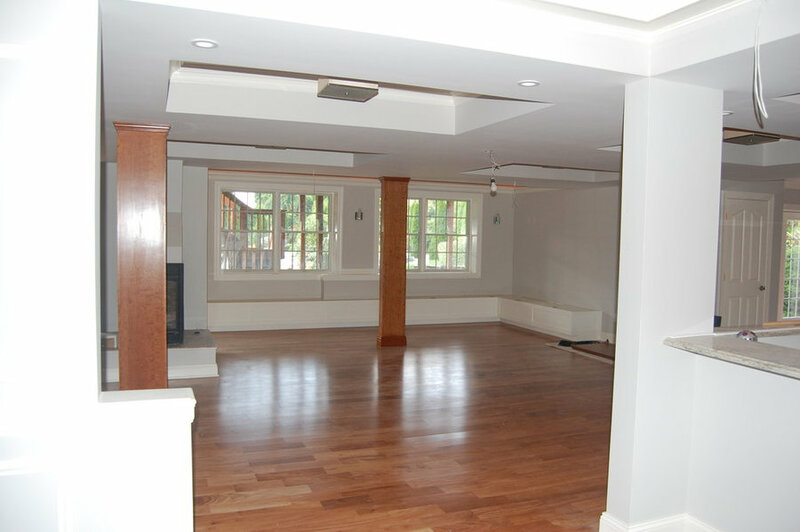 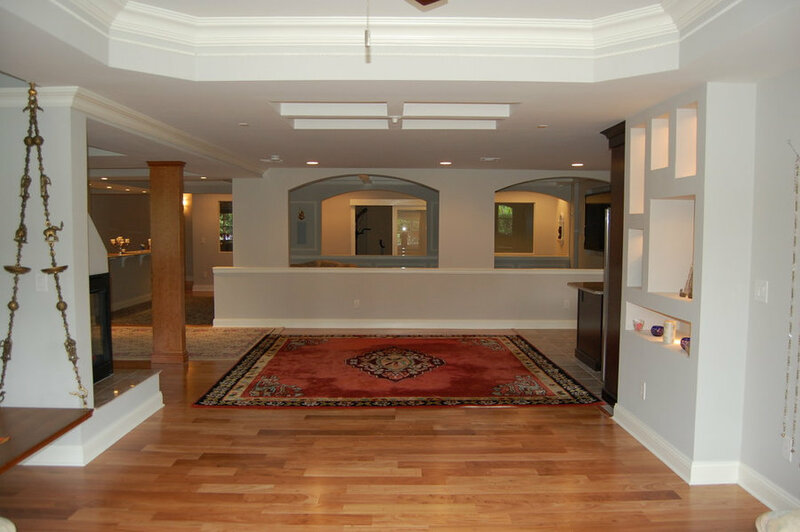 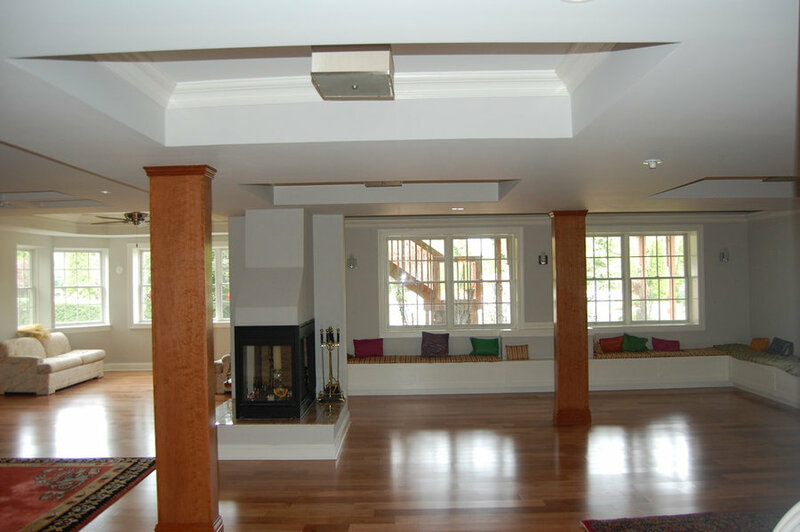 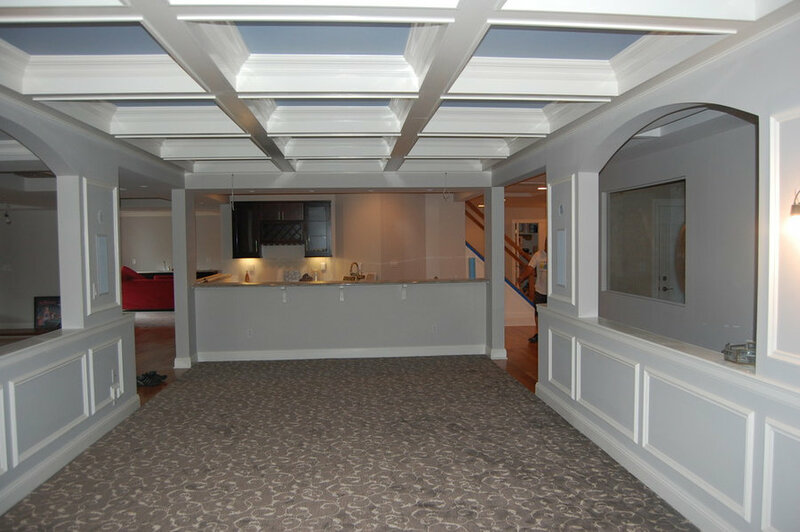 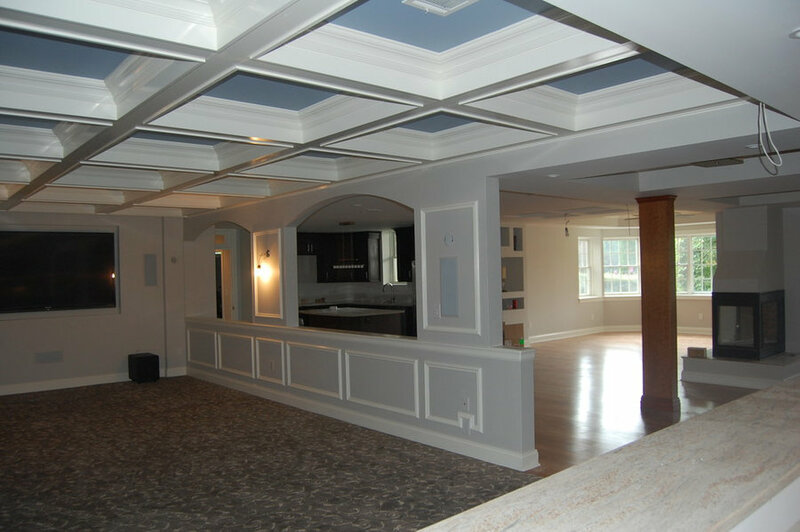 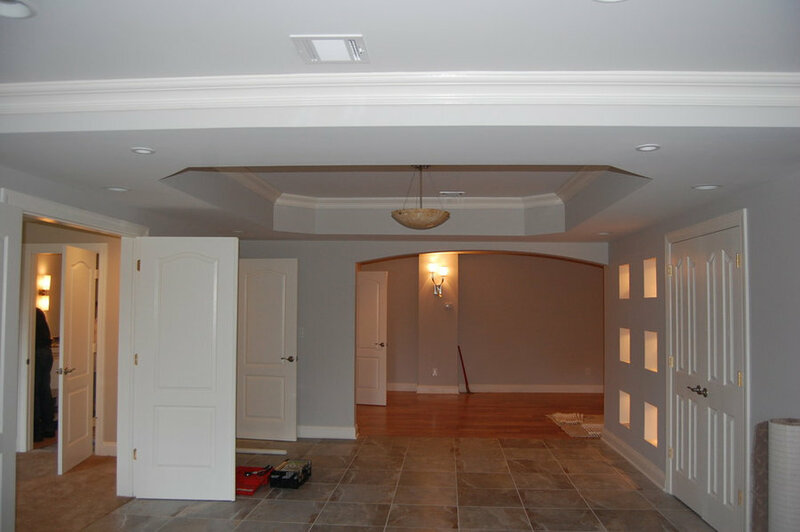 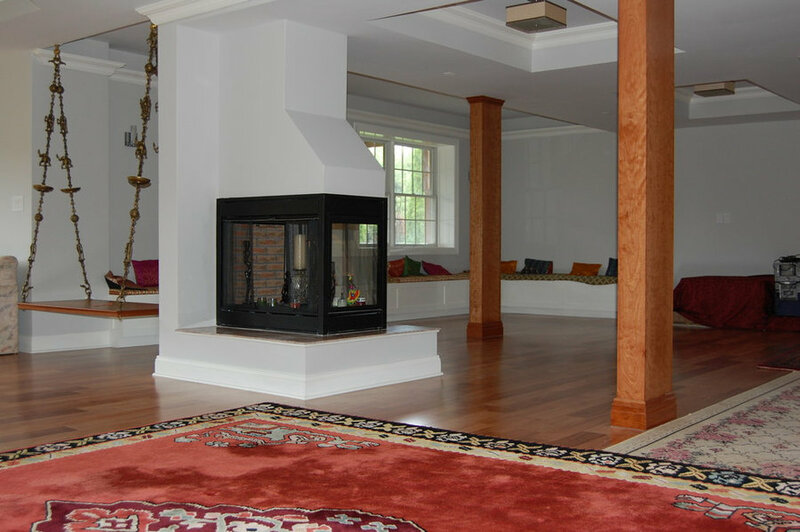 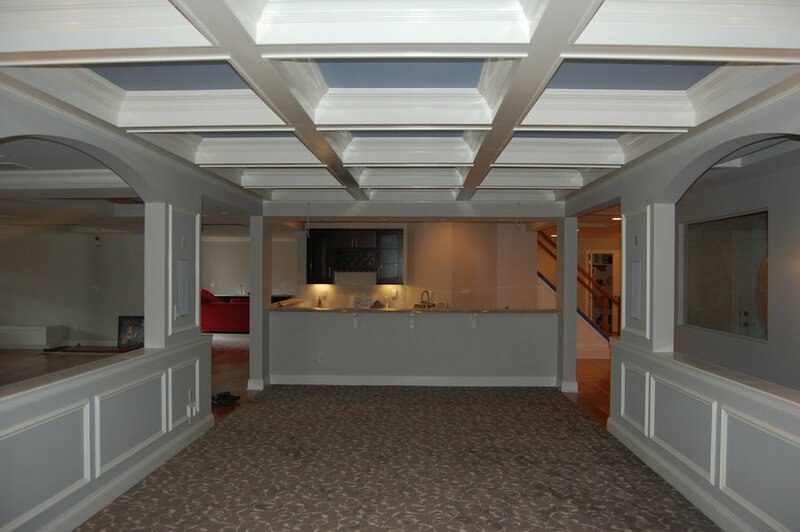 This full custom basement was designed and built by Dream Home Remodeling in part for the homeowners daughters wedding. 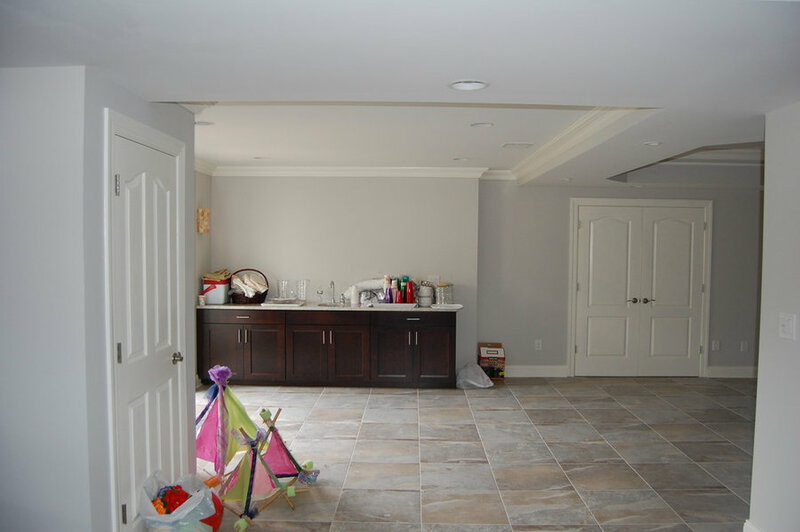 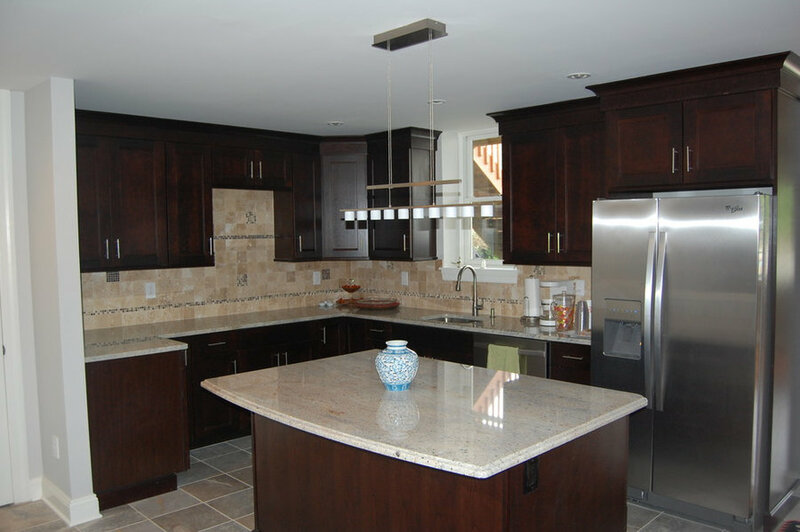 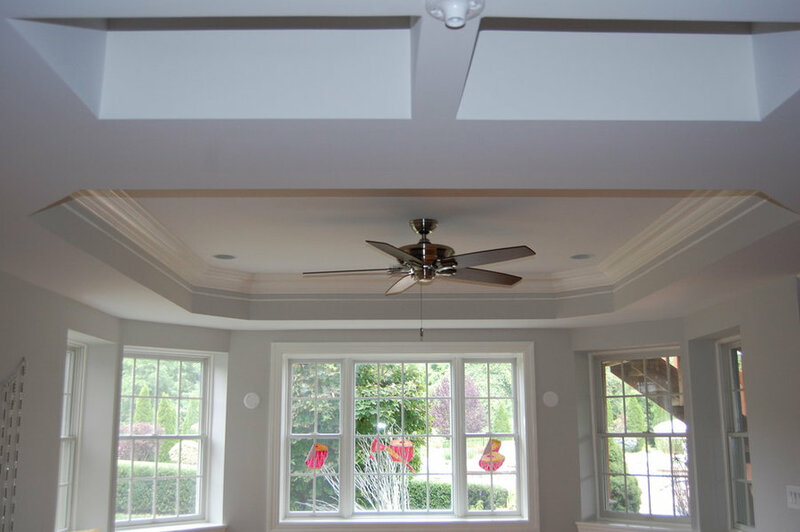 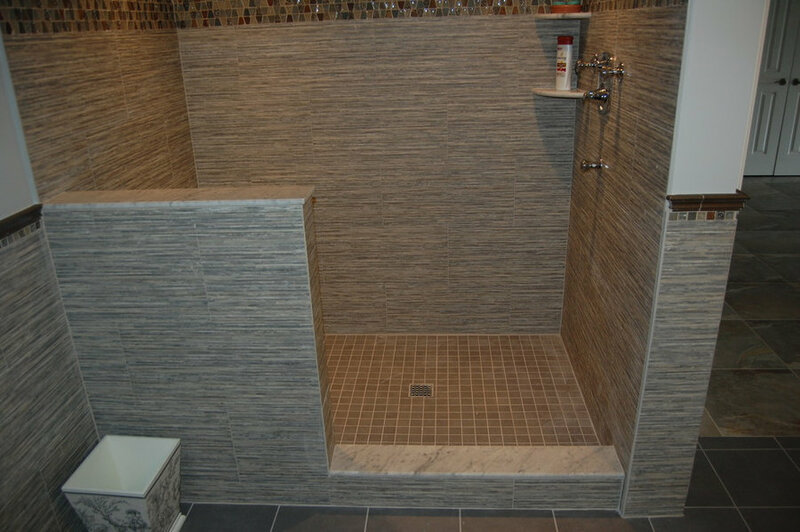 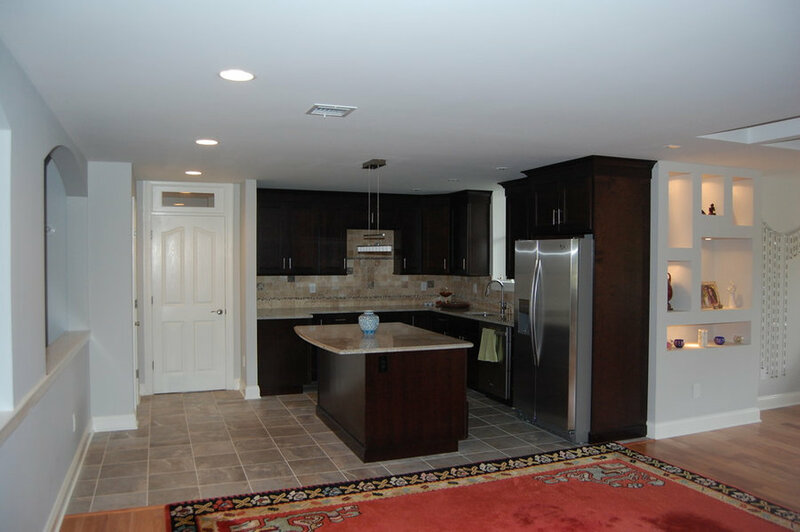 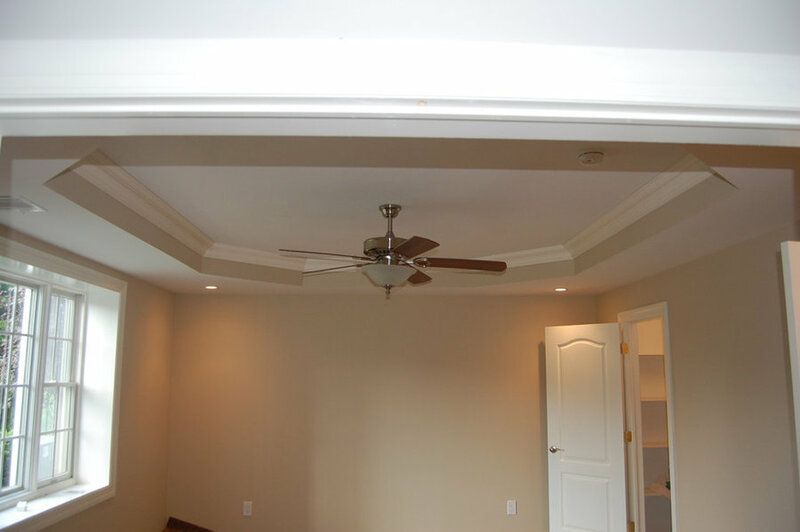 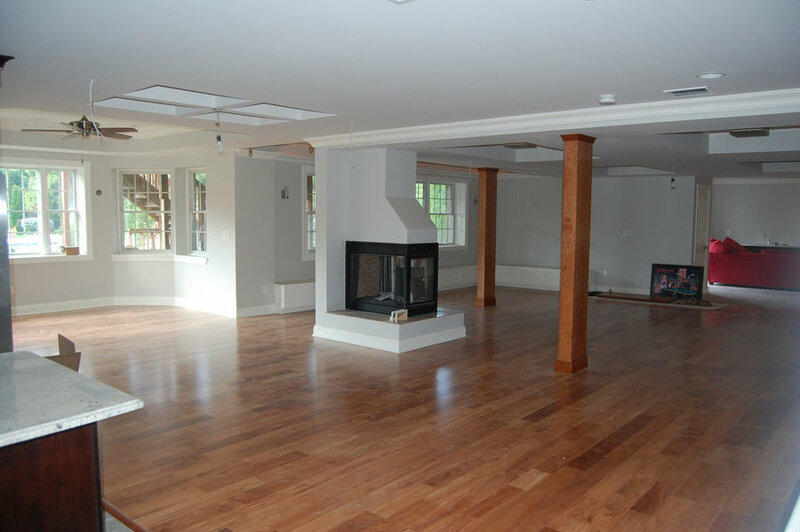 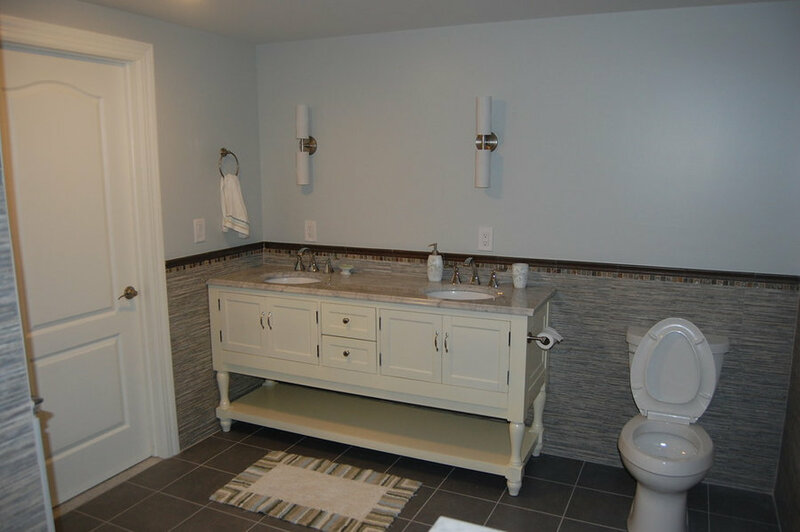 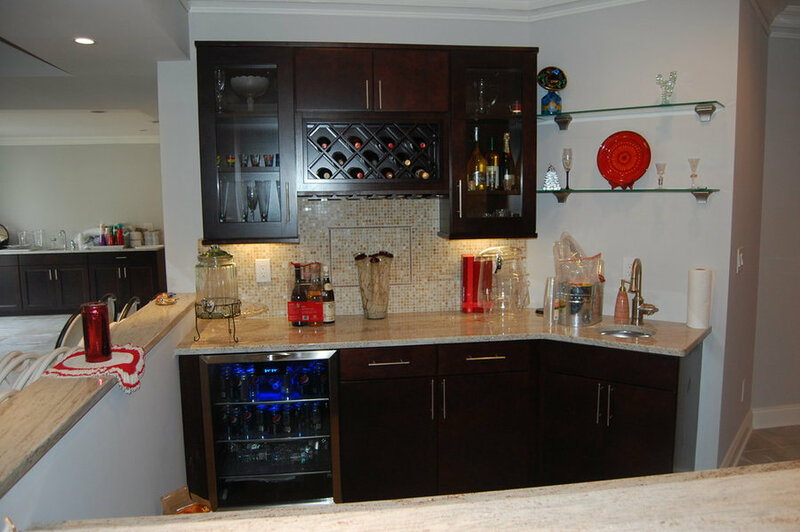 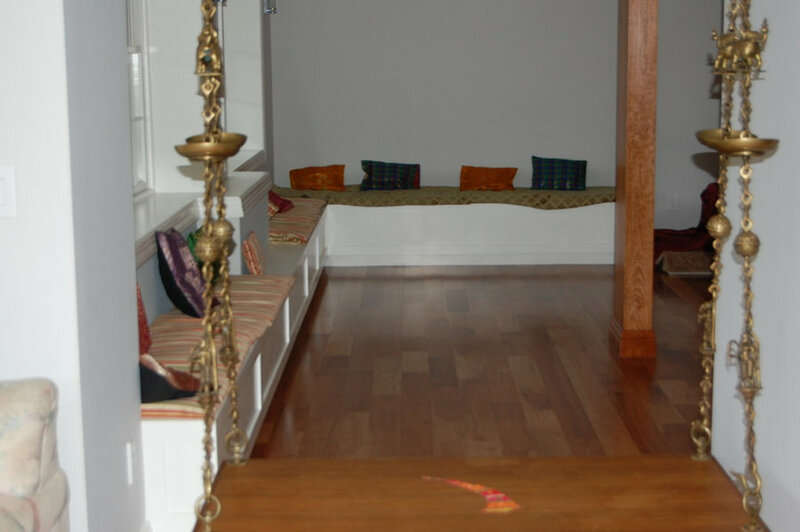 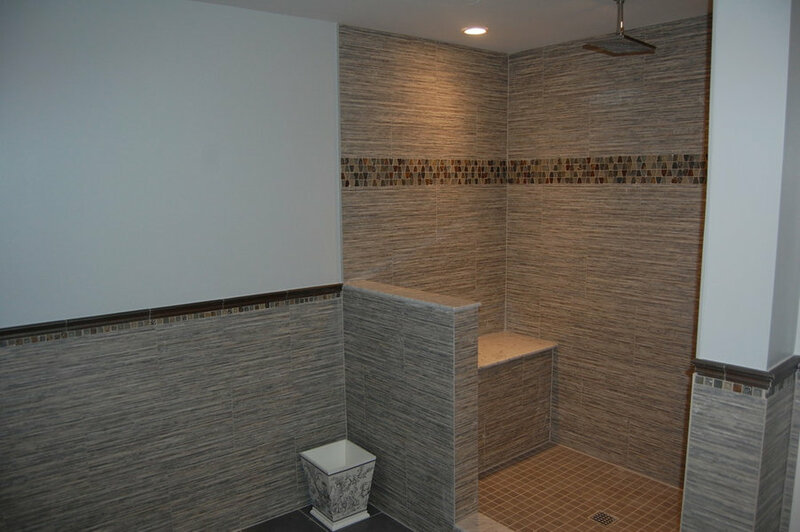 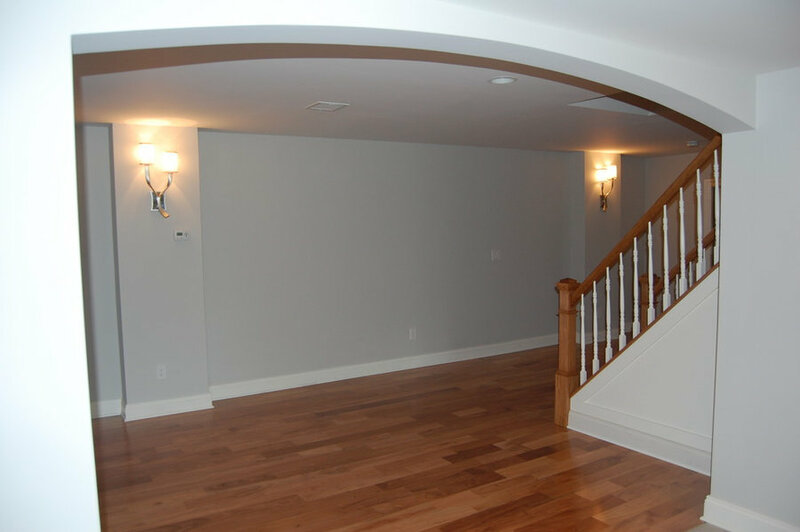 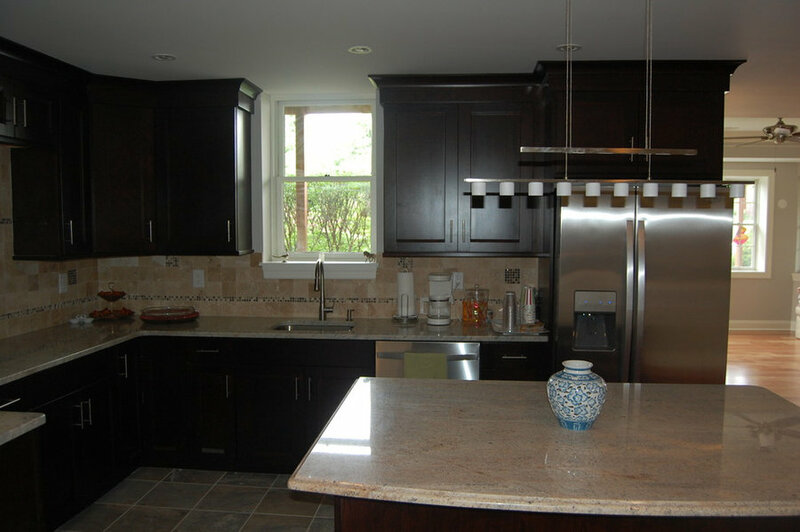 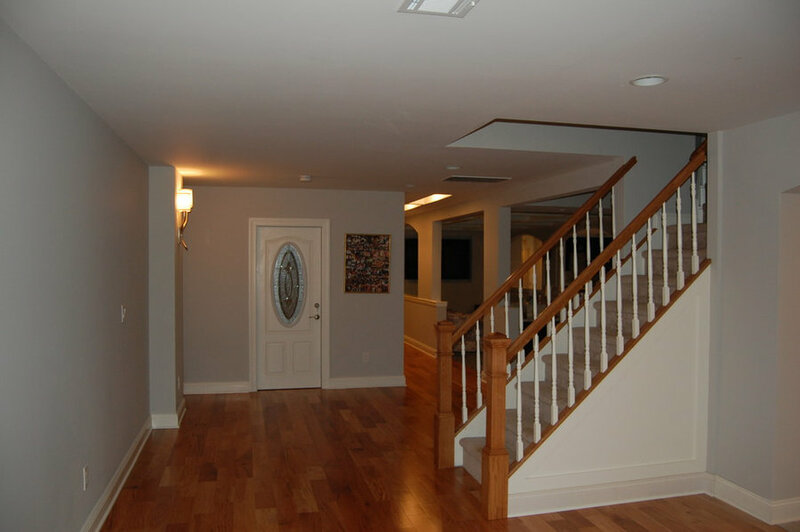 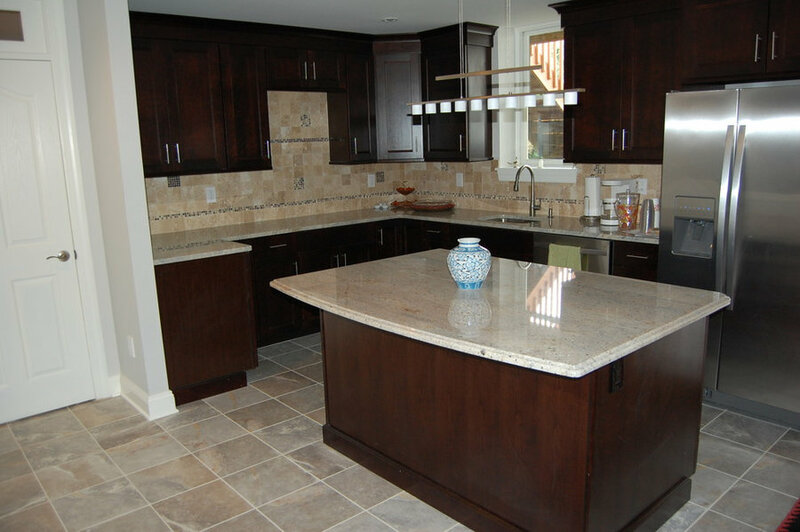 We had a narrow deadline of only 4 months from empty basement to completion. 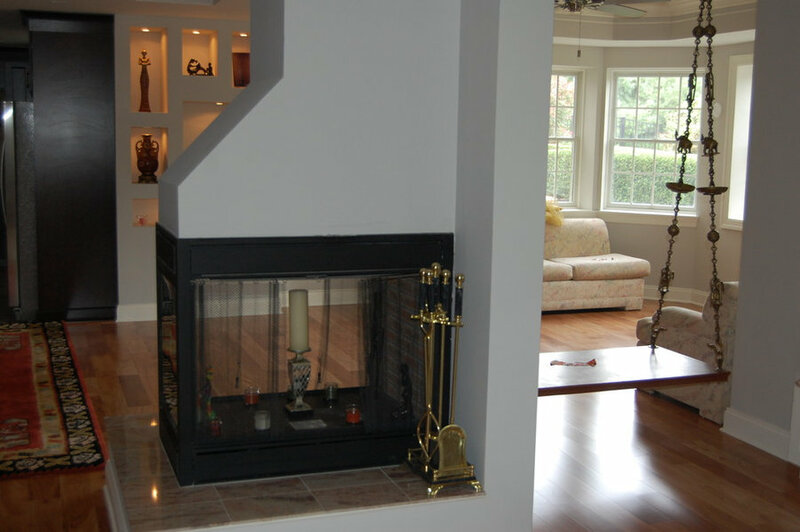 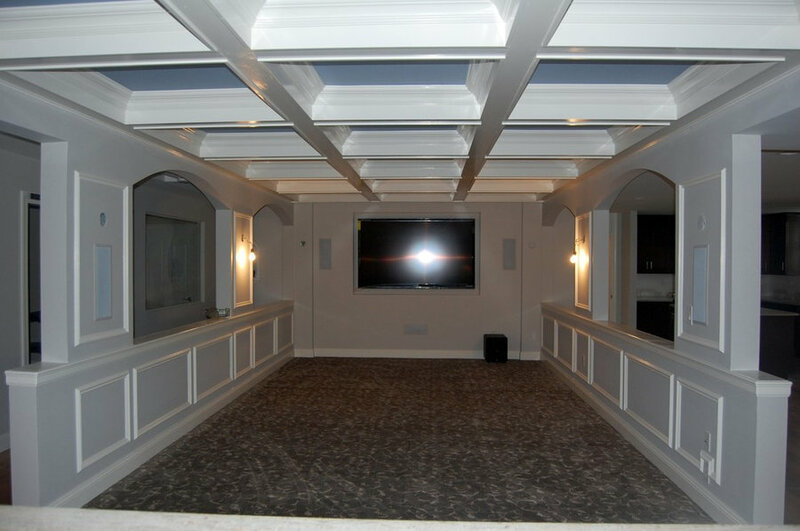 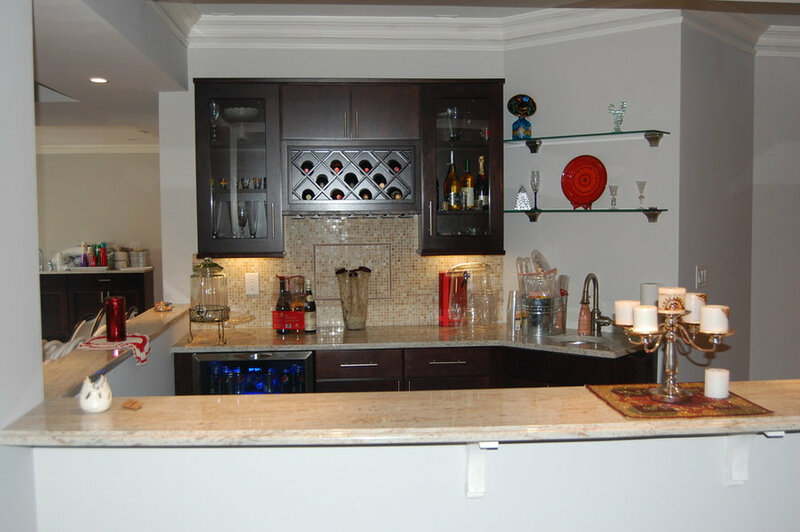 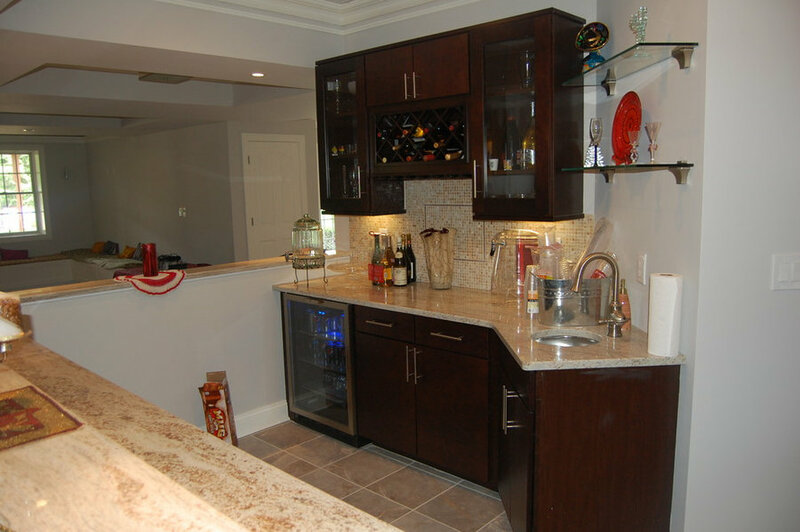 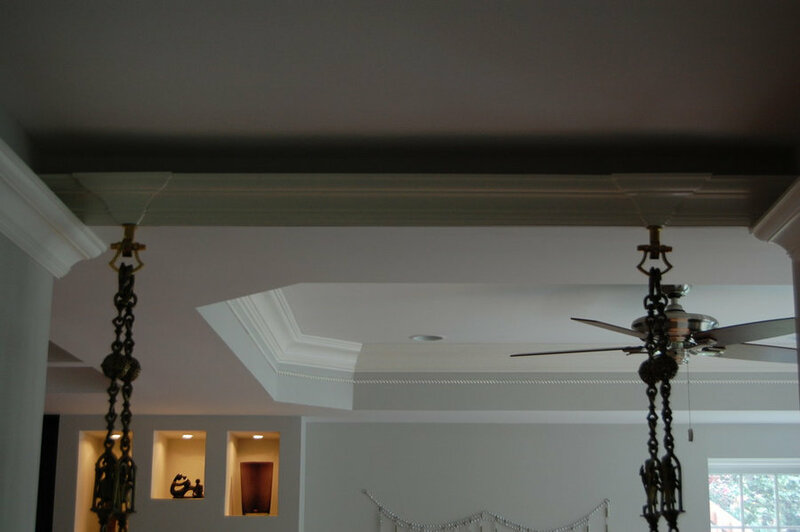 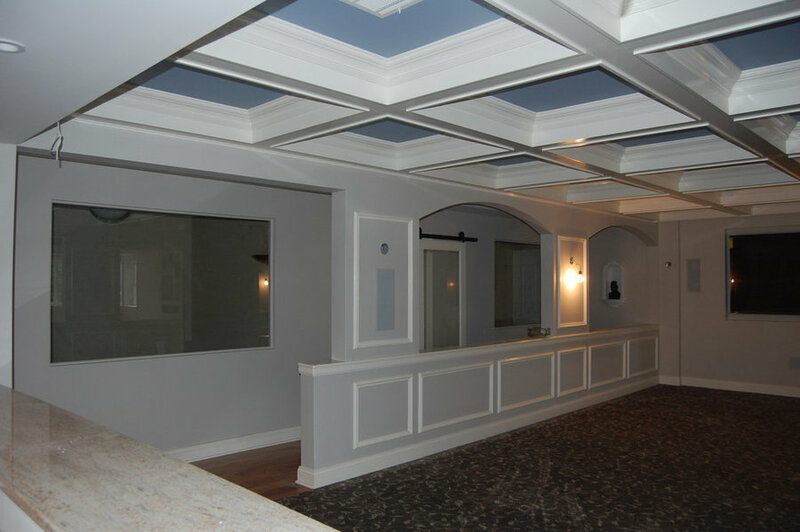 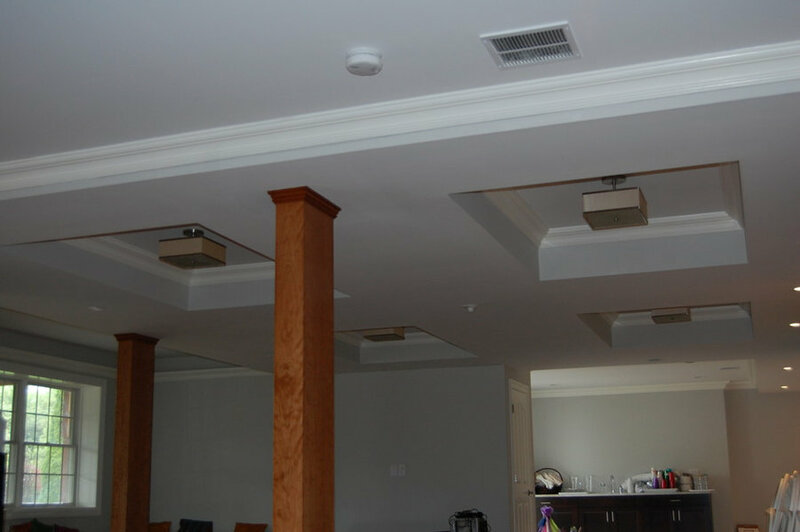 We were able to build a custom open home theater, a full kitchen, full bathroom, bar, bedroom with closet, open area with a fireplace and bench seating, a gym, and an office. 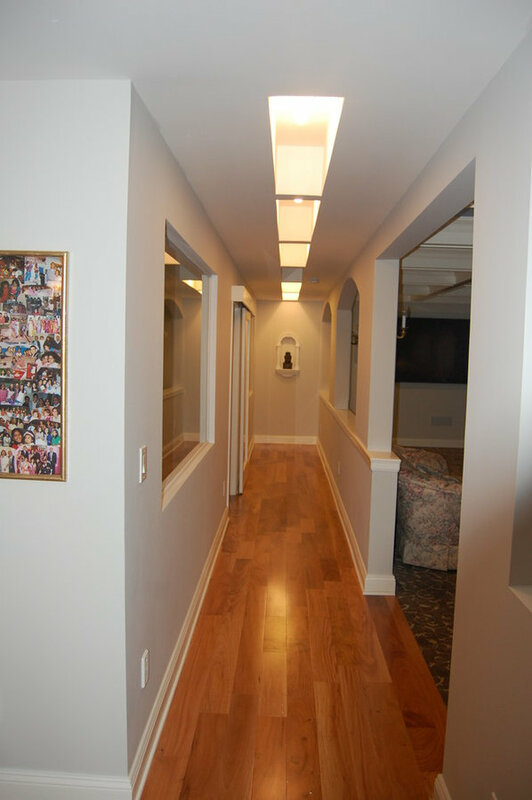 We also installed 2 tankless hot water heaters for the entire house, as well as a new HVAC system dedicated to the new basement. 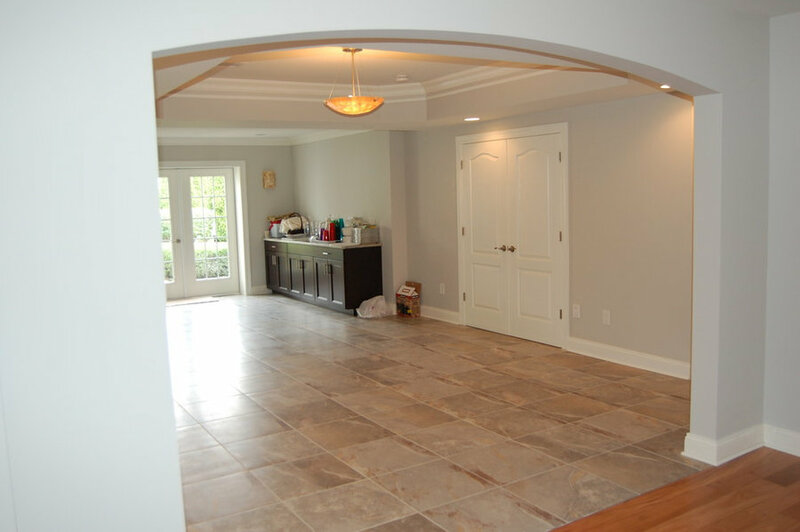 In the end, we pulled it out. 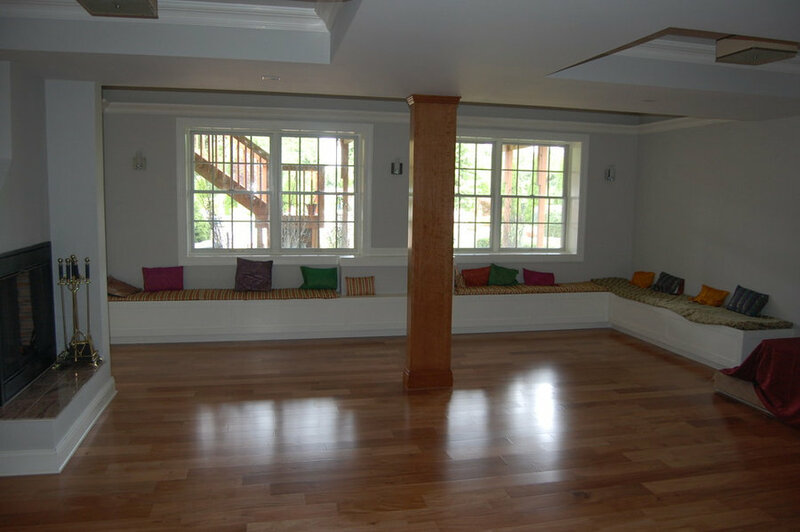 The owners were so happy, that they invited us to the wedding!! 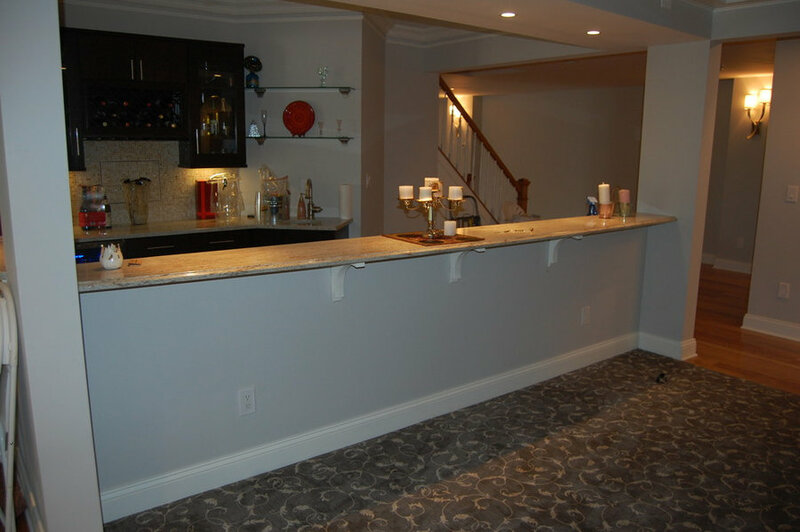 We all had a blast.